There is a micro-climate developing within the UK motor trade industry, according to Shoreham Vehicle Auctions. 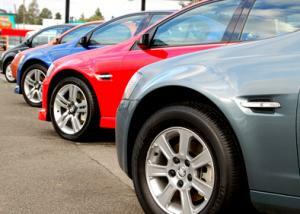 The auction company states that the market for used cars is booming in the south-east of England. Indeed, figures released by the firm show that both the demand for and prices of used vehicles is very high, particularly when compared to other parts of the UK. As the market reaches new heights, dealerships in the area – as with any company that experiences a spike in trading activity – will need to consider the potential implications it could have on their motor trade insurance policy, particularly the cover they have for the vehicles on site. If there is a substantial rise in the number or value of said vehicles, then this will need to be reflected in a more robust combined traders policy that covers a higher total value of goods on the premises; failing to do so could see the company left out of pocket in the case of severe damage or theft. According to the data released by Shoreham, in two sales for national finance companies in the south-east this month they had conversion rates of 93 per cent and 100 per cent respectively. This is compared to a national average of between 50 and 60 per cent of cars being sold at auction. Moreover, while the vehicles are selling well, they are also making strong money compared to CAP’s values. Alex Wright, managing director of Shoreham Vehicle Auctions, commented: “Economically this area is booming and whatever used car volumes are thrown at it they seem to get swallowed up with prices remaining strong. Speak to expert brokers like Bollington to ensure your forecourt is fully covered with the best motor trade insurance quote that meets all your business needs.